The IX International Vocal and Choral Contest-Festival “Let a Song Gather Friends” has recently been held at Yuriy Fedkovych Chernivtsi National University. The artistic event gathered participants not only from Ukraine but also from different countries of the world: Austria, Romania, Moldova, Italy, India, and China. The performance level was evaluated by an international jury consisted of well-known artists, performers and conductors. 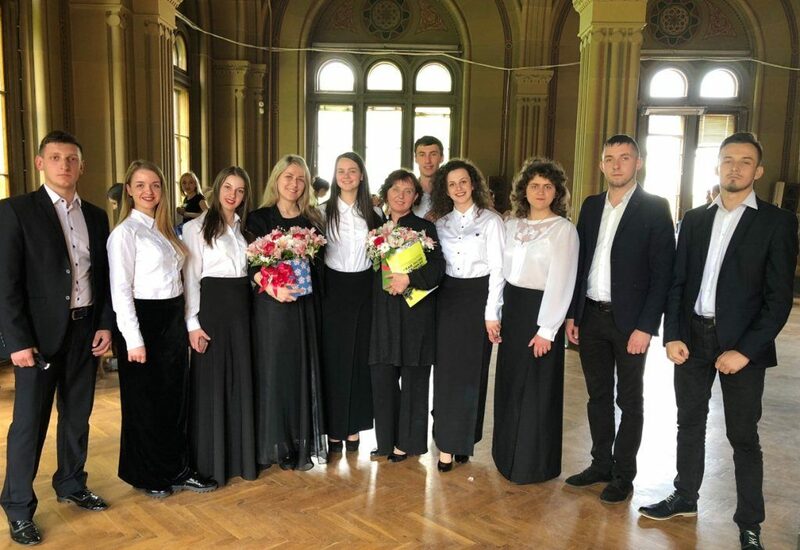 Student Mixed Choir of Educational and Scientific Institute of Arts of Vasyl Stefanyk Precarpathian National University was among the contestants. It is a great pleasure to mention that according to the results of the contest-festival the choir of our university became the winner in the nomination “Choirs” in the 4th age category and was awarded the Diploma of the laureate of the 1st degree. The head of the choir is Zhanna Zvarychuk, Associate Professor, Candidate of Art History, Honoured Worker of Culture of Ukraine. Concert master is Marina Rudik, Associate Professor, Candidate of Art History.